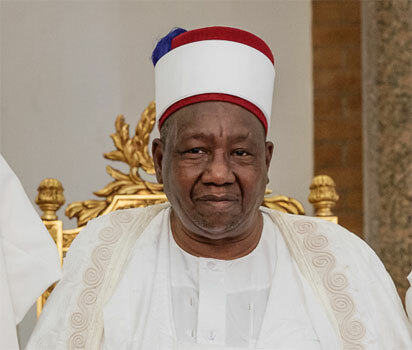 Shehu of Borno, His Royal Highness (HRH), Alhaji Abubakar Umar Ibn Garbai Elkanemi, has dismissed claims by security operatives that the ongoing military operations, particularly in some parts of the state and the Lake Chad Region, was yielding positive result. He insisted that even in Maiduguri, the state capital, residents and farmers cannot move out of the city beyond 5 kilometres without being killed or kidnapped by insurgents. This is even as Organised Labour yesterday pleaded with President Muhammadu Buhari to immediately sack all service chiefs and heads of the nation’s security apparatus and set up a high-powered probe into the immediate and remote causes leading to recent slaughter of over 100 soldiers by Boko Haram terrorists in Melete, Borno State. The monarch stated this when President Muha-mmadu Buhari paid him a courtesy call at his palace in Shehuri, Maiduguri. The President had visited the monarch before proceeding to the Chief of Army Staff Annual Conference where he was special guest of honour. Vanguard reports that the recent onslaught by terrorists have left over 20 farmers killed, while harvesting their crops in their farmlands, with several villages of Bale Shuwa, Mammanti and surrounding communities of Konduga, Mafa Council areas on the outskirt of the metropolis, razed by rampaging terrorists without confrontation.